Clark Seif Clark (CSC) provides testing and consulting services to help protect families and workers from lead and other potentially hazardous materials. Lead exposure can affect nearly every system of the body. Fortunately, it is relatively inexpensive and simple for certified professionals to evaluate homes for the presence of lead-based paint and/or to perform lead risk assessments. There are still at least 4 million households in the United States that have children living in them who are being exposed to high levels of lead according to the Centers for Disease Control and Prevention (CDC). The agency also reports that no safe blood lead level in children has ever been identified. In 1978 the federal government banned consumer uses of lead-containing paint, but almost 40 years later, one of the most likely sources of lead in a home is still due to the past use of these paints. The U.S. Environmental Protection Agency (EPA) even states that if a home was built before 1978, there is a good chance it has lead-based paint. 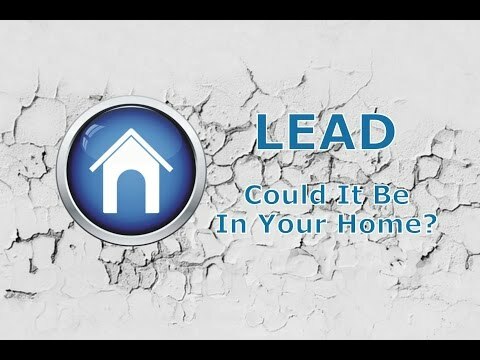 Lead from paint, including lead-contaminated dust, is one of the most common causes of lead poisoning. Contaminated dust can even be tracked into a home from soil outside that is contaminated. This could be due to deteriorating exterior lead-based paint and other lead sources, such as industrial pollution or the past use of leaded gasoline. To learn more about lead or other environmental, occupational, indoor air quality (IAQ), health and safety services, please visit www.csceng.com, email csc@csceng.com or call (800) 807-1118. CSC was established in 1989 to help clients in both public and private sectors address IAQ, and environmental, health and safety (EH&S) issues. CSC is a leading provider of these services with multiple offices along the western seaboard and southwest. The company believes in science-based protocols and has a strong background in engineering, making them the preferred environmental consultants to industrial clients, healthcare facilities, architects, schools, builders, contractors, developers and real estate professionals.